We all know how awesome user personas are. They help all the king’s men—designers, researchers, product owners, stakeholders, investors, on and on—understand a particular user type’s behaviors, needs, goals and motivations. Personas also focus everyone’s attention on the bigger picture rather than the minutest of edge cases. Further, they empower us to empathizewith our end-users, to the point that we want to make Rob the Accountant’s life not only easier, but also happier, more successful, more exciting. When Alan Cooper introduced personas as an effective UX design tool in his book The Inmates Are Running the Asylum, they became almost indispensable. Almost. Because we also know how hard it is to focus on user research when all we want is to see another iteration of design, another wireframe, another prototype. Especially when the usersnecessary to the user research are super-busy subject matter experts who barely have time to get their day jobs done, and are also tasked with “helping out” product teams or R&D teams or even just little old design teams—meaning they’re spending their nonexistent free time on feature proposals, requirements gathering, scrum meetings, and all the other time-consuming activities that make up solid, dedicated product design. The last thing they have time for is to spend hours with a user researcher answering a litany of questions about who they are, what they want, and how they think. So, when informing a fully fleshed-out persona is as daunting to your end-users and SMEs as the proverbial root canal, take it one step at a time. Break the research down into little bite-sized pieces your SMEs can tackle in less than 10 minutes. You’ll be surprised how responsive they are when you show that you’re accommodating them. Because the truth is they want to help; they want to do the right thing and get the designers everything they need; they just don’t have the time. Here’s a step-by-step guide to help your SMEs help you when creating personas. 1. Create a template. Figure out what you need to include in a persona that will be valuable to your designers—staples like needs, goals, pain points, and nuanced bits like org structure, softwares used, skills. Create from this list a template outlining each section, with examples for each. 3. Send it out—piecemeal. Prioritize the sections. Needs, goals and pain points should be high, both because they’re the most important parts of the persona and because they’re a little murkier and might require more thinking than other sections down the road. Org structure and feature wish lists should be lower. These will be easier questions for users to answer when they might be getting tired of filling out surveys. Then, use a survey tool like SurveyMonkey to create your first one- or two-question survey. 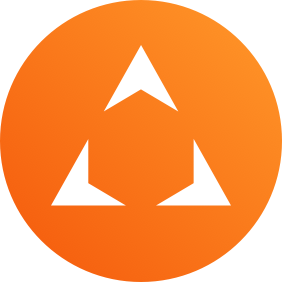 Send it out to end-users, along with a short email explaining your plan. 4. Show your progress. Develop a cadence of every week or every other week to send out a new one- or two-question survey. 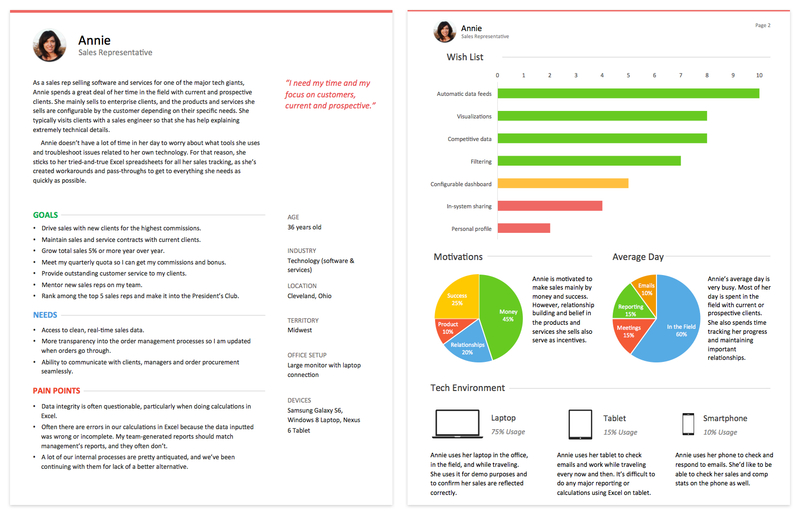 With each subsequent email, show the users how your persona has progressed by including the template you created with the sections they’ve answered now filled out. Even better, you can also include wireframes that call out specific areas where the users’ responses directly helped the designer. Let them see exactly how they’re helping you. This approach obviously takes more time than the traditional methods of persona development, which also suggest personas should be created before design even begins. In the real world, that doesn’t always work. Make sure you collaborate with designers to understand what their top priorities are in understanding user trends. Even soliciting less than 10 minutes’ worth of feedback can be difficult at times. Users will often put off the survey for later…until they’ve effectively forgotten about it. Avoid this by collaborating with the scrum master to create tasks for each end-user or SME to fill out the survey so they’re reminded without multiple pestering emails. Users are more likely to answer quantitative questions (such as ranking, multiple choice, etc.) than qualitative (open-ended) questions. It’s less of a hurdle to select a radio button than it is to come up with freeform ideas. Unfortunately, with personas, you don’t want to lead the witness at all (the survey is effectively replacing a one-on-one interview), so coming up with quantitative questions can be tough. Consider the example above with the open-ended top 5 pain points. 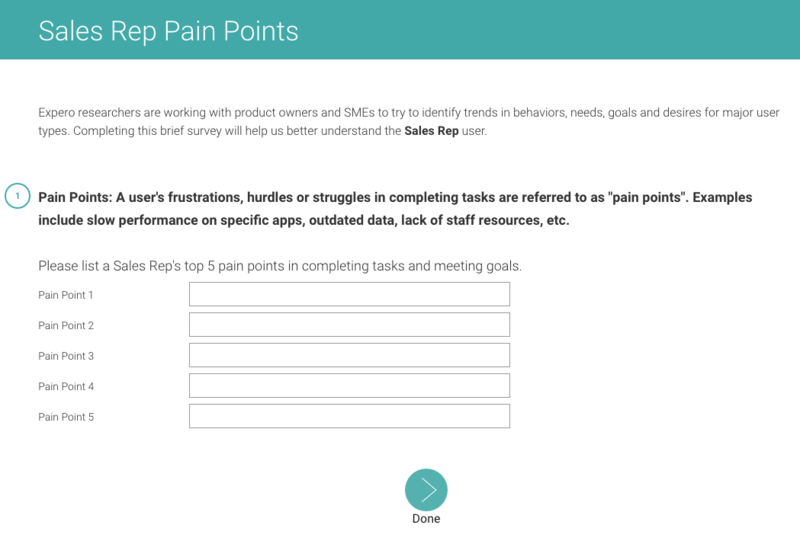 Have users also rate each of those pain points on a scale from 0-10. You’ll get more data this way, and the respondents will get a little bit of relief. Defining your audience is pivotal to any successful UX project. But it doesn’t have to be a daunting, boring, major time commitment. Break it down and build each target audience step by step.